Recent Media Coverage and Press Releases. Adopt Organic Vines in France, visit the vineyard on one of the wine experience days and participate in making your own French organic wine. A very original wine gift for any established or budding wine connoisseur. Download the media pack for the Gourmet Odyssey Wine Experience (pdf 1.47 Mb). Elle.fr (French language), 25 January 2019. Come and make your own vintage wine and follow the progress of your own vines in the organic vineyard of your choice. You can also personalise the wine bottles that are produced from your own adopted vines. LeFigaro.fr (French language), 13 November 2018. Produce your own olive oil, honey, or make your own wine are something that we still dream about. For those of you who don't have a spare 6 million euros to buy a hectare of grand cru vines in Burgundy, it's possible to sponsor some vines for a wine-making year for a much more modest sum. Saint Valentine's : what gift to celebrate your love ? France 3 Bourgogne Franche Comte (French language), 6 February 2017. Rent vines and make your own wine! An original gift for two. With Gourmet Odyssey, discover the St Valentine's Wine Experience gift pack. In making your own vintage of wine, your Valentine will follow the progress of their own vines (in one of the chosen organic French vineyards. They will also be able to personalise the wine bottles that are made using their adopted vines. Give a whole new meaning to ‘grow your own’ by adopting someone a vine (£136, gourmetodyssey.com). Mieux Vivre Votre Argent, N° 416 November 2016. For a wine-making year, adopt 6 or more vines at one of the eight organic vineyards that partner with the site. One vine gives you one bottle of wine, so you will end up with at least a case of 6 bottles that you can taste with pride, knowing that it was made for you. Depending on the chosen options, you can get involved in working in the vineyard, and can learn all about the key stages in making wine directly from the winemaker at the winery. Marianne, N° 995, 6 - 12 May 2016. To really astound the crowd, place a bottle of organic wine on the table from your own vintage. To take part in this privilege, no need to be a Bordelais heir. Gourmet Odyssey allows you to adopt some vines (from 6 to 36) in a chosen winery (Burgundy, Loire Valley, Rhone Valley ...) and to follow their evolution right up until bottling. After 12 to 24 months, you'll get your hands on your personalised vintage. Cheers! Sud Radio, 23 December 2015. The 15/17 show. For a great last minute Christmas gift idea, adopt some vines with Gourmet Odyssey. The personalised certificate can be sent by email for all orders placed by 17:00 Paris time on the 24th December. Tourism and wine. What's new in the vineyard? An exhibition in a winery, a picnic in the vineyard, wine tasting courses... Here are 16 good reasons to rediscover the vineyards. To follow the making of a vintage of wine, we've just met Marc Plouzeau, winemaker at Château de la Bonnelière, in La Roche Clermault. You can participate in the work of a winemaker or follow the evolution of your wine by newsletter. At the end of the experience, you receive as many bottles of personalised wine as the number of vines that you have adopted (minimum of 6). You too can adopt a vine! Fancy having your own organic wine? With this site, you can adopt some vines and over time keep informed of what's happening to them. You can also visit the winemaker to get involved in making the wine, and you end up with your own personalised bottles of wine. Madame Figaro, 01 March 2015. The green fashion icon has published a vegetarian recipe book with her father, Paul, and her sister, Mary. We concocted a made to measure break post-défilés. ... We propose a nice eco-friendly idea from Gourmet Oydssey - adopt some organic vines, participate in a harvest and vinification experience day, and receive a personalised bottle of wine for each adopted vine. To have my own personalised wine with my labels. You can follow the key steps in making your vintage over 18 months, at the vineyard or online. Le Figaro (French), November 2014. Taste this wine - I made it! La Revue du Vin de France, N° 578, February 2014. Does the idea of making your own wine excite you? Try the adventure by adopting up to 36 vines for a wine-making year. Get involved in the harvest and vinification, follow the evolution of your wine, personalise your labels and receive your bottles of wine. 20 Minutes (France), 19 December 2013. Gourmet Odyssey offers to adopt a vine and get involved in making your own wine, and at the end of the wine-making year to receive your bottles of wine. Madame Figaro, 22 November 2013. ...and/or opening that of your partner who isn't necessaily better in the exercise. You've already given him everything from the cycling isle, have covered him in cashmere V-neck jumpers. Can we do any better? France 3 Centre, 19 May, 2013. Not long to go before Mother’s Day! We’ve still got time I hear you say. Yes, if you’re counting on offering a bunch of flowers, but if you want to give something a little more original, you need to get organised now! France 3 gives you a few gift ideas for Mother’s Day! Rent one or more vines for a winegrowing year (budget between 99 and 450 euros). Via the internet or during visits to the winery, you will follow the evolution of your adopted vines. You can also participate in courses run by oenologists. At the end of the experience, the web winemaker that you will now be, you’ll also get a few bottles. Le Journal du Net, 5 December 2012. Short of ideas for your Christmas presents? Here are a few items that you haven’t perhaps thought of that are sure to please under the Christmas tree. For wine lovers, Gourmet Odyssey offers you the chance to adopt your own vines and create your own wine. For Christmas you’ll receive a welcome pack containing a sommelier’s apron, a personalised certificate, and access to the customer portal to follow the work at your winery. You can choose your region from the Loire Valley, Bordeaux, Burgundy, Alsace, Languedoc, or the Côtes du Rhône. The Times, 30 November 2011. When Paul Samms opened a long tin box under the Christmas tree at his Sussex home he found a sommelier's apron and a certificate informing him that he had the rights to six merlot vines at Château Beau Rivage, near Bordeaux, for the next year. For a man who is fond of his food and wine it was an excellent gift. "Everybody fancies they know something about wine but, if all you have ever done is pull a cork or open a screwtop, this is a very enjoyable way to learn more about it," says Samms, who works in the London currency markets. The present, from his wife, Lesley, cost € 249 (£ 206) and also included an online code to view his vines and follow their progress and an invitation to a wine experience day at the vineyard. He had the chance to see the vines, meet the winemaker and learn how vines are pruned and the wine is made. He is now looking forward to the delivery of six bottles from his vines in the middle of next year. France 3, 6 october 2011. Report featured on France 3 television lunchtime news featuring the Harvest Experience Day at Château Beau Rivage. Adopt a vine or make your own micro-cuvée? Several winemakers propose such packages, but the internet site of Gourmet Odyssey takes care of everything for you. The company created by Mark Bootherstone, a fan of gastronomy, travelling and wine, lets you set off on your adventure in a click from 149 euros! The site has partnered with 5 winemakers who work organically. The vineyards are located in the four corners of France; Domaine Allegria in the Languedoc village of Pézenas, Château de la Bonnelière in Chinon in the Loire Valley, Château Beau Rivage in Macau-en-Médoc in the Bordeaux region, and in Burgundy, Domaine Chapelle in Santenay and Domaine Jean-Marc Brocard in Chablis. Once the vineyard has been chosen, the internet winemaker adopts between 6 and 36 vines for a winemaking year. The number of vines corresponds to the number of personalised bottles of wine that they will receive at the end of the adventure. To enter into the world of wine, a welcome gift pack is sent, containing a sommelier’s apron, a DropStop, a personalized certificate, a brochure explaining the Gourmet Odyssey Wine Experience, and an access to the Customer Portal. Throughout the year, the internet winemakers have the possibility to visit the vineyard during one of the Discovery, Harvest or Vinification Experience Days. Gourmet Odyssey also offers the creation of your own wine, called a micro-cuvée. This other experience is possible in the Languedoc winery of Allegria. During this oenology course, you get to taste and identify the different grape varietals, and to understand their characteristics. With the help of the winemaker and a graphic designer, it’s up to you to decide the blend of your wine and the look of your label. For those whom the world of wine fascinates, attracts, and entices to learn more about what is hidden behind the bottle, Mark Bootherstone has created a service with 4 organic vineyards that allows you to adopt some vines, watch them develop over the internet, and visit the winery to work on the vines and the wine. The experience can go as far as producing your own barrel of wine (300 bottles), where the blending of the wine and the labelling is left to the complete choice of the client. Live a rare wine adventure by buying your vintage on the vine at a winery. You’ll pamper your cuvée and receive your own personalised bottles of wine. Whenever they are entertaining, Camille and Frédéric make waves by serving the wine which comes straight from their Burgundy vines. Like almost 10 000 French people, this Parisian couple have immersed themselves in virtual winemaking. Wine: The cuvee Clos de Cornières, available in the rent-a-vine experience, is a good Santenay (red wine), hand harvested and matured for 12 months in oak barrels. A Nous Paris, 29 December, 2010. ... Same principal applies to wine from different regions 5Bordeaux, Burgundy, Chablis). GourmetOdyssey.com enables you to adopt your own vines and become a "winemaker" for a vintage. Hull Daily Mail, 30 October 2010. Could this be the ultimate Christmas gift for wine-lovers - your very own vines in a French vineyard, producing your own wine? The idea is certainly catching on - Gourmet Odyssey is a French-based company selling more and more "wine experiences" to British oenophiles (that's wine enthusiasts in everyday language). And this month they responded to demand by increasing the number of participating wineries from two to three. The Gourmet Odyssey Wine Experience is designed to go beyond the traditional wine tasting and vineyard tours. The cost - from about £132, depending on the chosen winery - includes the chance to adopt from six to 36 vines in your chosen vineyard, the ability to follow their progress online and a choice of up to three wine experience days at the vineyard, with the opportunity to bring a guest. The end result is from six to 36 personalised bottles of wine your vines have helped create - the number of vines you adopt equates to the number of bottles of wine you'll receive at the end of your wine experience. For your wine experience days you can choose from wine discovery days, harvest experiences and vinification experiences, the latter being an opportunity to learn what happens to your wine as it matures, between fermentation and being ready for bottling. Gourmet Odyssey offers the experiences through three partner vineyards - in Bordeaux, Burgundy, and now the latest winery, producing Chablis, less than two hours from Paris. More than just a gift, this site allows you to give a passionate experience, that of the vine. You can offer a wine enthusiast the possibility to adopt their own vines and follow all the stages of winemaking via a newsletter. Before receiving their bottles, the virtual wine makers can personalise their own wine labels. According to the wine experience chosen by the gift-giver, they also get the opportunity to participate in the harvest or in the blending. For now, the site offers this wine adventure in Burgundy and the Bordeaux region, in two organic wineries. Gourmet Odyssey Wine Experience discussed during the In Vino show featuring Alain Marty, Philippe Faure-Brac, David Cobbold, and guests. In Vino is France’s only radio programme that is 100% dedicated to the world of wine and vineyards. Gourmet Odyssey selected for the Celebrate a French Xmas start-up gift site. The Celebrate a French Xmas gift site is a collective of almost 200 start-up companies, sponsored by the French Ministry of Economy, Finance and Industry. The aim is to put some innovative Christmas gift ideas, produced by French start-ups, under the trees this Christmas. Gourmet Odyssey, the gourmet experience specialist, was selected for its original adopt-a-vine gift concept. It’s now official, the Celebrate a French Xmas gift website is live, and the Gourmet Odyssey Wine Experience is one of the Christmas gift ideas chosen for the “Food” category. This original wine gift gives wine lovers the opportunity to adopt some organic vines in France and to participate in the making of their own wine. What differentiates Gourmet Odyssey from typical winery tours or tasting sessions, is the active participation of the adoptive parents in making their personalised organic wine, and the privileged contact that they have with the winemakers to discover the hard work and art of their fascinating profession. “Our aim is to bring wine enthusiasts and passionate winemakers together to share the skill and devotion necessary to make a good quality wine. Once you understand all that has gone into making a bottle of wine, you’ll never drink it the same way again” explains Mark Bootherstone, the founder and CEO of Gourmet Odyssey. The adoptive parents follow the evolution of their vines and the making of their wine via their customer portal on the Gourmet Odyssey website, where newsletters and photos explaining the work of the winemakers are published. And for those that want to roll up their sleeves and get involved in helping make the wine, Experience Days can be added at the winery. The Wine Experience packages start at € 159, and their price varies depending on the number of vines adopted, the winery chosen, and the number of days included. New Wine Experience Launched by Gourmet Odyssey. Blend your own Barrel of Wine. Gourmet Odyssey, specialists in gastronomy discovery experiences, announces the launch of their second offering for wine enthusiasts, the Gourmet Odyssey Micro-Cuvée Experience. This offer gives the opportunity for private and corporate clients to create their own barrel of wine to their taste and in their image. To establish the Micro-Cuvée Experience, Gourmet Odyssey has partnered with the Allegria winery, located in Languedoc, southern France. Allegria has also join the network of partner vineyards available in Gourmet Odyssey Wine Experience, the adopt-a-vine offering proposed by Gourmet Odyssey since 2009. The clients of the Gourmet Odyssey Micro-Cuvée Experience will spend two days at the Allegria winery, located in the picturesque village of Caux in the AOC region of “Coteaux du Languedoc Pézenas”. During their visit, they will get behind the scenes to learn about the art of winemaking, how to cultivate the vines, and most importantly to understand the difference of each grape varietal, how they are aged and blended to make the wine. Having tasted and noted the different characteristics of 5 different grape varietals (Carignan, Mourvèdre and 3 lots of Syrah from different vineyard plots), the clients will be able to choose the grapes and percentages used in the blending of their own barrel of wine. They will also spend time with a professional graphic artist to design the labels which reflect their image by choosing the style, colours and name for their wine labels. Once the wine has matured, the clients will receive 300 bottle of their wine, marked with the label they have created. Allegria also becomes the fourth partner vineyard of the Gourmet Odyssey Wine Experience, and the first in the Languedoc-Roussillon region. The Gourmet Odyssey Wine Experience allows wine lovers to adopt a vine at Allegria and to follow all of the key stages in making wine right up to the bottling of their personalised wine bottles. The clients can also choose to include hands-on experience days at the vineyard to participate in some of the work such as pruning or the harvest. The price of the Gourmet Odyssey Micro-Cuvée Experience starts at € 4,800. The price of the Gourmet Odyssey Wine Experience starts at € 144. Gourmet Odyssey is pleased to announce the addition of the Chablis winery, Domaine Jean-Marc Brocard (http://www.brocard.fr/), to the adopt-a-vine partner vineyards included in the Gourmet Odyssey Wine Experience. The Gourmet Odyssey Wine Experience offers a unique behind the scenes journey into the life of a winemaker. Clients adopt their own vines in France at one of Gourmet Odyssey’s partner wineries, and follow all of the key stages in wine making; from nurturing the vines, harvesting the grapes, blending the wine, all the way through to receiving their own personalised bottles of wine that the grapes from their vines have helped to make. The addition of Domaine Jean-Marc Brocard’s Chablis “La Boissonneuse” is the first white wine producer to join the Gourmet Odyssey Wine Experience. The wine was carefully selected for its zesty freshness, and minerality. Domaine Jean-Marc Brocard is one of the leading winemakers in Chablis, and has converted much of their vines to organic and biodynamic cultivation, including the vineyard selected for Gourmet Odyssey. The Gourmet Odyssey Wine Experience is most often bought as an original wine gift for an established or budding wine connoisseur, whether for a close friend or relation, or as a corporate wine gift for a valued customer. The price for the Gourmet Odyssey Wine Experience at Domaine Jean-Marc Brocard starts at € 169 for six adopted vines, a welcome pack, monthly updates from the winemaker, and six personalised bottles of wine at the end of the experience. Gourmet Odyssey (www.GourmetOdyssey.com) is proud to announce that its wine tourism product, the Gourmet Odyssey Wine Experience has been added to the services officially selected by the Office de Tourisme Intercommunal « Beaune, Côte et Sud » (www.Beaune-Tourisme.fr), and by the Conseil des Vins du Médoc (www.Medoc-Tourisme.com). Wine tourism is a growing sector in France. According to a study carried out in 2007 by the Conseil Supérieur de l’Oenotourisme (Executive Wine Tourism Council), seven million people a year participate in a wine tourist activity. The Conseil Supérieur de l’Oenotourisme has called for those involved in the French wine trade to propose innovative activities that promote the culture and heritage of wine in France. The Gourmet Odyssey Wine Experience is an innovative way for established or budding wine connoisseurs to discover and learn more about all the key stages in making wine. For a wine making year, these wine lovers adopt vines (from 6 to 36) in one of the Gourmet Odyssey partner wineries, which today includes Domaine Chapelle in the Burgundy village of Santenay, and Château Beau Rivage in Macau-en-Médoc, close to Bordeaux. The customers can also follow the progress of their vines and wine virtually by way of newsletter and photos which are sent to them and published in their client portal. At the end of the Gourmet Odyssey Wine Experience, which can last up to 2 years, they receive a personalised bottle of wine, labeled with their name, for each adopted vine. The Gourmet Odyssey Wine Experience is most often given as an original wine gift, particularly for an unusual birthday, wedding, retirement, father’s day or Christmas present, or as a corporate gift that makes a change from a case of wine, and lasts long in the memory. 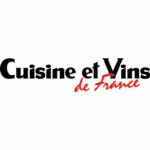 Gourmet Odyssey has partnered with independent and organic winemakers in France to provide the Gourmet Odyssey Wine Experience. Each customer will adopt their own vines in a French vineyard for a winemaking year, follow the progress of their vines and the wine making process, and receive their own personalised bottles of wine that the grapes from their vines have helped to produce. Other “adopt a vine” schemes already exist, but the Gourmet Odyssey Wine Experience offers a much more involved experience with between 6 and 36 bottles of personalised wine included in the package. The heart of the concept is for the customers to visit the winery, meet the winemaker, and actually get involved themselves in helping to make their wine through the choice of 3 wine experience days. The Gourmet Odyssey Wine Experience makes an original present idea for any wine lover, whether they are already a connoisseur, or whether they are just starting out on the journey to learn more about wine. When buying presents for a special occasion such as St Valentine’s day, a 60th birthday, wedding or retirement, people are looking more and more to offer an original experience that lasts long in the memory. At each winery, the customer can choose to adopt between 6 and 36 vines. The number of vines adopted corresponds to the number of bottles of wine that the customer receives at the end of their Gourmet Odyssey Wine Experience. Each bottle of wine will bear a personalized wine label. The three wine experience days that customers can choose from are the Discovery Experience, Harvest Experience, and Vinification Experience where they will learn and participate in activities such as pruning, harvesting, blending and bottling depending on the experience and the time of year chosen. Each wine experience day is valid for two people, so it gives a great opportunity to plan a short break to explore one of France’s wine growing regions in Bordeaux or Burgundy. The recipient also receives a luxury Welcome Pack containing a sommelier’s apron, Drop Stop, certificate and personalised brochure that explains the programme is sent to the customer. Regular updates from the winery about the vines and the wine-making process are sent by newsletter to all customers to follow the progress remotely, so even if no wine experience days are chosen, they benefit from a virtual experience. Gourmet Odyssey has partnered with Château Beau Rivage in the Bordeaux region and Domaine Chapelle in Burgundy. Other wineries and regions will follow. Both of these independent wineries were selected for the high quality of their wine, the friendly and welcoming character of the owners, and the environmentally responsible way in which the vines are grown and the wine produced. Indeed, Domaine Chapelle has just received official Organic status from Qualité France, and Château Beau Rivage is currently converting to becoming Organic and should become certified for their 2011 vintage. They have both received numerous awards and recognition from the wine industry. Prices start from € 149 and then increase depending on the number of vines adopted, the winery chosen, and the number of wine experience days selected. Since 2009 Gourmet Odyssey is a boutique French company that specialises in gastronomy discovery experiences where the customers actually participate in the making of the gourmet product of their choice from one of Gourmet Odyssey’s quality, independent partners. Each partner is meticulously chosen for the excellence of their produce, their infectious enthusiasm and passion for their profession, and the environmentally and ethically responsible production methods used. Gourmet Odyssey was founded by Mark Bootherstone, a British citizen who lives in Paris with his French wife. If you are a journalist and would like more information about Gourmet Odyssey, please use the contact form. We will reply to you as quickly as possible. Thank you.